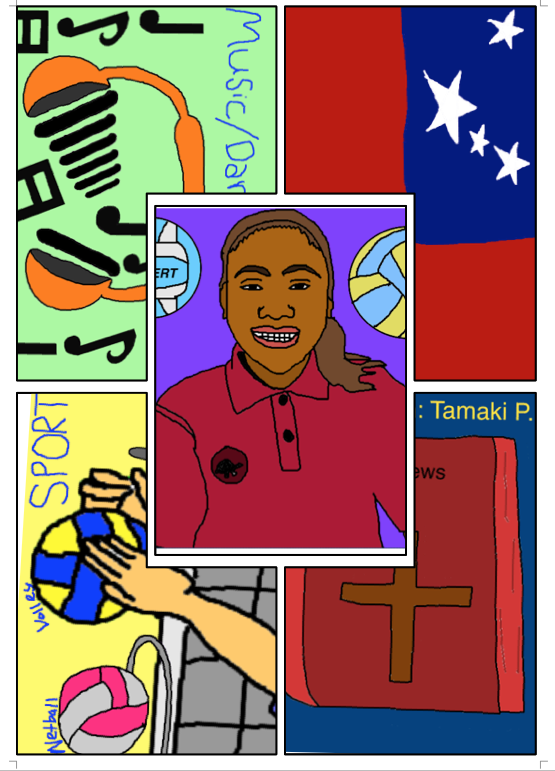 In our team 5 (year 7 & 8's) block, the teachers had given us a task to draw our 'Visual Mihi'. We had to draw 4 things that are valuable in our life, and in the middle has to be a traced drawing of you. represents my love for music and dancing. Music: music makes me emotional and that's the thing about music. There are many types of songs, slow, fast and maybe groovy. I go for the fast kind of hip hop songs. Thats what gets me up on my feet. Next on the bottom on the top left corner, I drew three of my favorite sports. The first sports that I drew was netball. To represent netball, I drew a hoop and a ball. I love netball, I have been playing netball for 3 years now and it is awesome. My other favorite is volley. Volley is amazing, my family always plays it, and thats how I started to like the sport. So to represent volley I drew some hands in the air that are going to spike the ball and also a net. Lastly, rugby. For rugby I drew a goal post and a ball that is on a tee. I have been playing rugby for 2 years. Beside the sports corner there is a Bible. Also there is a name on top of the bible, you cant really see it but it is the name of my church. I go to Tamaki P.I.P.C. The P.I.P.C means 'Pacific Island Presbyterian Church'. That church is right beside my house. Why? Because my grandpa is the minister for the church. He has been there for over 30 years, and every year we have a ball to celebrate the church's anniversary. So I really love going to church to learn more things about what God had done for us. Lucky last on the top right corner there is a Samoan flag. Obviously that represents me being a Samoan. I love being a Samoan, especially going there. The Island of Samoa is beautiful, its tropical and well very hot. One of my favorite traditional Samoan food sua fa'i. It is a banana soup. Mmmmm..thinking of it makes me want to eat it. Samoa is a beautiful culture, thats why I love it!! So thats all you need to know about me! I really hope you enjoy it! I am really impressed with your visual mihi and it means so much more after reading your post all about it. I like the way you have described each of your 4 corners and what they represent. It must be very special to go to Church when your Grandpa is the Minister. 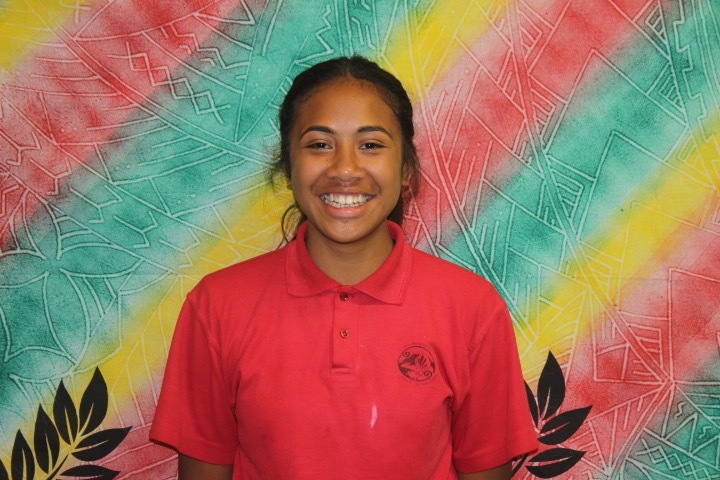 It is so great to read how proud you are of your Samoan culture. I have never been to Samoa but I would LOVE to. Malo Jordenne. I really enjoyed reading all the detail you included when explaining the parts that make up your visual mihi. You certainly appreciate the many things that make up you! Your use of language to communicate your thoughts is developing beautifully. Keep it going Jordenne.